How can I cancel & delete my account? 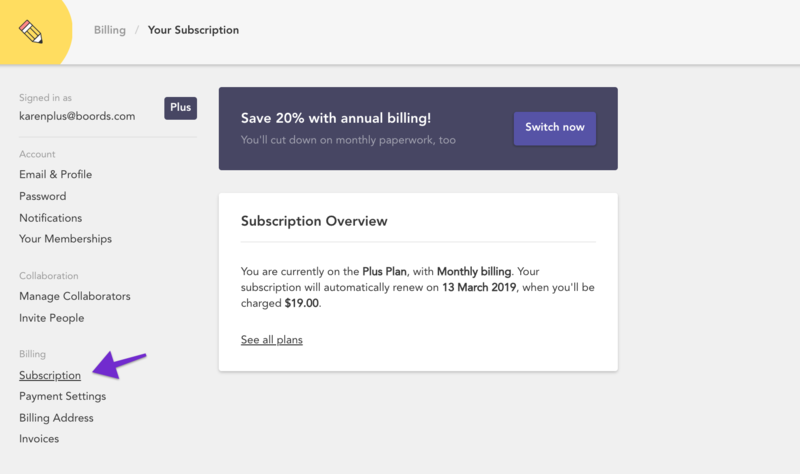 If you’ve found that Boords doesn’t quite fit the bill for you and you’d like to cancel your subscription, you can do this from within the Account section. 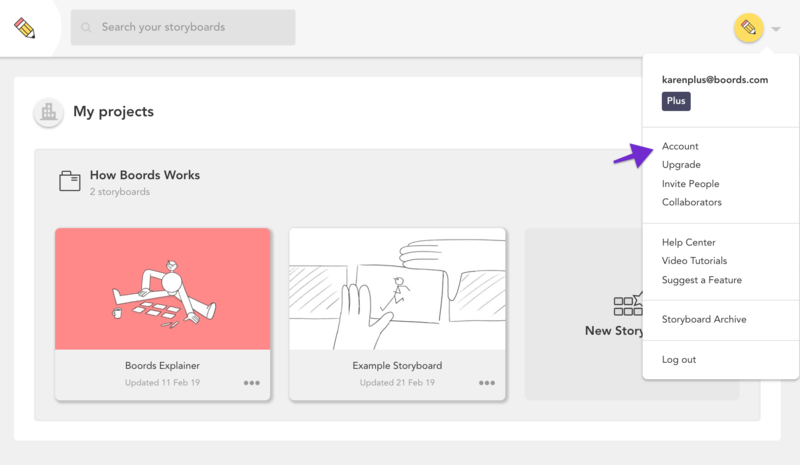 To access this section, click your profile image in the top right-hand corner of the Project Dashboard. Then, click See all plans. 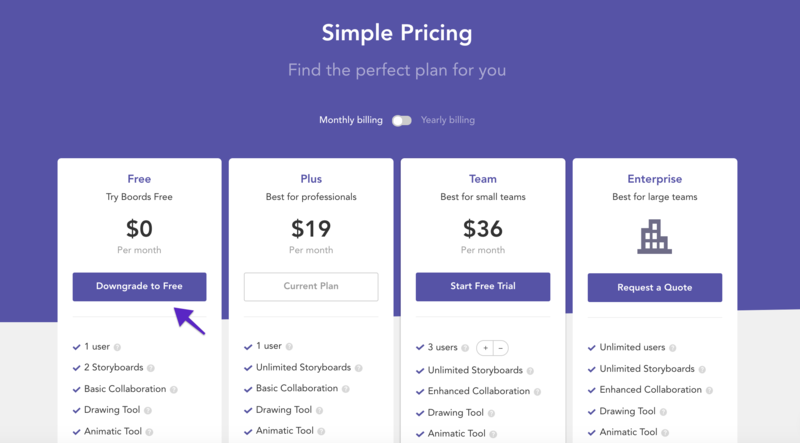 On the Pricing page, choose Downgrade to Free. 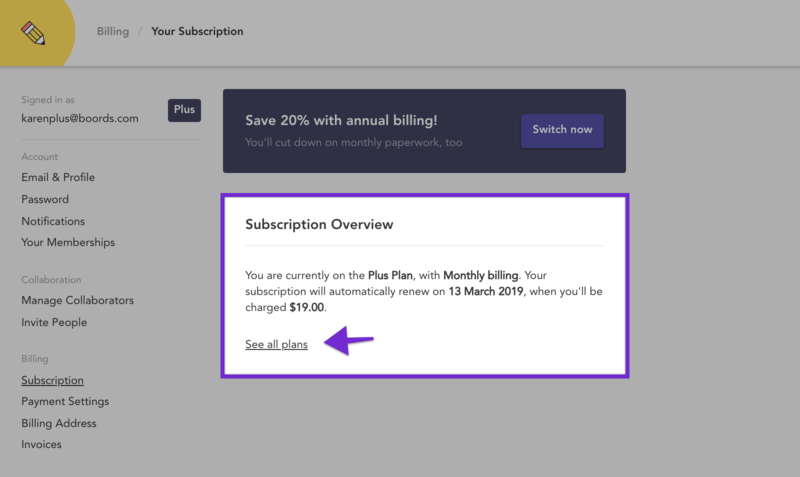 If you've cancelled your subscription or are subscribed to the Free plan, you'll also have the option to delete your Boords account from within the Account section. 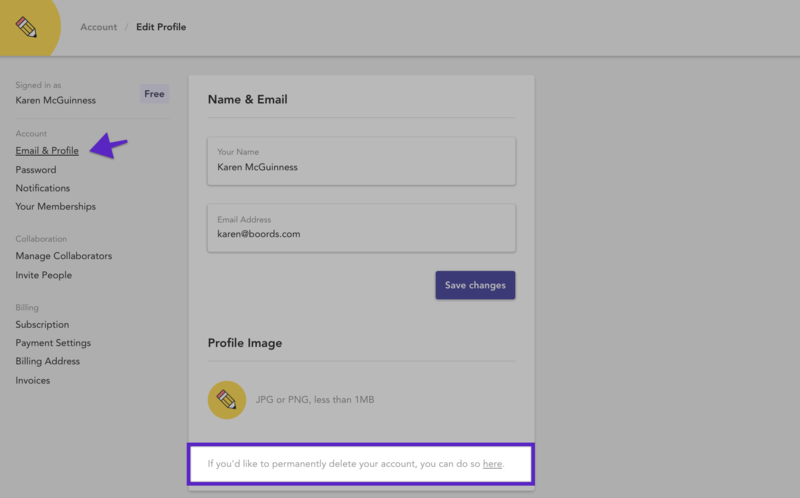 On the Email & Profile page, you'll see an option to completely delete your account. Deleting your account is a permanent action and can't be reversed - so please tread carefully!